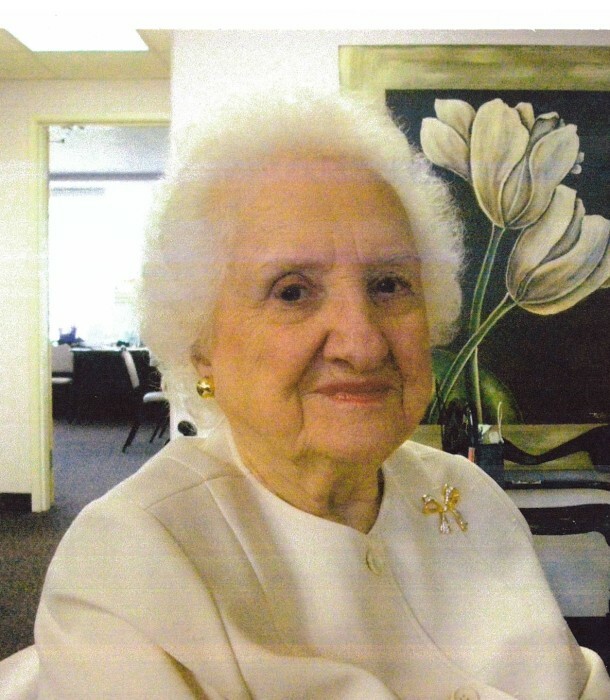 Sarah H. Duyck, a Macon resident since 1969, died February 5, 2019, after a brief illness. She was 100 years old. Known to her friends as "Jenks”, she was an accomplished musician having earned an undergraduate degree in music from Tusculum University in Greenville, TN. She further studied piano at Juilliard School in New York City. A piano pedagogist, she instructed students for over 35 years in Florida, as well as Cordele, and Macon, Ga. She was a member of the Macon Morning Music Club. In 1970, she embarked on a second career as an elementary school teacher at Pearl Stephens Elementary School in Macon. During this time, she earned a Master of Education from the University of Georgia. She retired in 1983. Sarah was active in the musical life of her churches including First Baptist Church of Christ in Macon. Quilting, knitting and other hand crafts occupied her time in retirement until macular degeneration deprived her of that joy. Sarah was preceded in death by her husband, Willard Y. Duyck. She is survived by her sister, Carroll Sanderson of Chattanooga, TN and her two children, Sandra Duyck of Macon, GA and Carl Duyck of Palm Coast, Fl. Visitation will be held at First Baptist Church of Christ of Macon on Saturday, February 9 at 2:00pm followed by a memorial service conducted by Reverend Scott Dickison at 3:00pm in the Church sanctuary. Interment will be private. In lieu of flowers, Sarah requested that any contributions or memorials be made in furtherance of macular degeneration research at Mayo Clinic Department of Development, Macular Degeneration Research, 200 First Street SW, Rochester, MN, 55905.